As schools move forward with adopting digital initiatives, 1:1 programs, online databases, eBooks, and a litany of other “21st Century” resources, one may find herself—again –in information overload. But take a few calming breaths, and a stop at your favorite library blog, and all will be well. The resource you need is already at your fingertips with Destiny. Here are my first 3 reasons why making Destiny a one-stop shop for your students and staff will make everyone’s life a little better by improving digital literacy and the way they search for information. By taking advantage of Destiny’s WebPath Express subscription, your patrons will have access to not only the collection within your walls, but to trusted peer-reviewed websites. The benefit of having pre-scree ned websites cannot be measured. Have you ever tried a Google search for “cougar”? You might not come up with pictures of a great cat first. WebPath Express will omit the unknown and icky and will lead your students to your books and to trusted websites they can use for their research. By integrating your subscription databases with One Search, you can maximize your budget and be sure that your students are getting the mo st out of the resources you are providing. Now, in just “one search” they will return not only books and trusted websites (see #1) but academic articles from digital databases. Britannica, ABC-CLIO, World Book, Gale, and many more are available to integrate into Destiny. Follett also offers access to a slew of free databases as well such as CNN, KidsClick, and Khan Academy. With Reading Program service, you can integrate Accelerated Reader and Scholastic Reading Counts!® quiz information right into your title records. When students search, they won’t have to navigate out of Destiny to see if the book they want is right for them. Stay tuned. On June 24th I will talk to you more about Destiny as a One Stop Shop in Part 2 of this series. Do you use Destiny as your one stop shop? If so, I’d like to hear from you. Please share with me in the comments below. Ruth is the Supervisor of Library Services at Tustin Unified School District. Ruth spent most of her childhood at the beach or with her nose in a book—oftentimes both. I don’t think there has been a week that has gone by that I don’t encounter one librarian stereotype or another. Are we all bun-wearing, cat-eyed glasses touting, sshhhhh sergeants? No. But recently, as I stood alone, headphones in, systematically weeding an old collection, I came across a dusty copy of John Donne’s collected works. And there it was. “No Man is an Island”; a 14 line poem that addresses isolation. And his words rang true. As librarians, we are more often soldiers of solitude rather than the stereotyped "sshhhhh" sergeants. We work alone developing, weeding, shelving. But as Donne noted, though we may feel like an island at times, each of us is a piece of a continent—in our case, an informational continent. We are all working toward a common goal of preserving, disseminating, and promoting information and information literacy, so why not work together when we can? Solitary duties are probably half of what we do. But as I have said before, there is no reason to be completely isolated and feel like you have to reinvent the wheel all the time. Being a part of the information continent means calling upon others for help or collaboration. Need a good read-aloud or program for National Poetry month? Dollars to donuts your counterpart at the local public library has one. Looking for the next book to read in your lunchtime book club? Ask another school librarian. Here are three of my top ways to reach out to colleagues and become an active part of the informational continent. 1. Make local contacts and meet in RL (Real Life). If you are a school librarian, don’t wait to see your peers at the monthly department meeting. Call them up, get to know them. Chances are they are working on similar programs or lessons and can be a great sounding board or collaborator for new ideas. 2. Don’t be a stranger to the nearest public library. Pop in and introduce yourself. Both you and the public library share a patron base. Chat about what the kids are asking for and about upcoming projects they will be doing in class. Perhaps you can coordinate an after-school tutoring program or a library card drive. 3. Join online communities. Become a member of communities like Follett Community, Library Thing, or Goodreads and use social media. Follow Pinterest boards and other librarians/educators on Twitter. Bookmark library blogs and leave comments when you read something interesting. You will gain followers and have a go-to when you are in need of ideas. Ruth is the Supervisor of Library Services at Tustin Unified School District. Ruth spent most of her childhood at the beach or with her nose in a book—oftentimes both. Though reading and writing are her passions, promoting libraries, librarians, and information literacy is the foundation of her personal and professional objectives. She lives with her husband and their French Bulldog in Irvine, California. Ruth will also be pinning resources for her Learning Library column on our Pinterest account-http://www.pinterest.com/follettsoftware. You can comment on this blog or follow her on Twitter @AskMissLIS. I know this is going against the grain for some people, but we have to be realistic and do what is best for us. We serve 24,500 students and over 3,000 staff and it is better to present one platform--one method—through which our patrons can access eBooks rather than overwhelm them with several different technologies to learn. We don’t want them to get discouraged. Since Follett provides content that integrates seamlessly into Destiny, we would be remiss not to go with them. Unlike other vendors and content, I can track circulations, monitor and report on usage history, and integrate records into our catalog just as I would a print resource. In a time when we still have to tighten our belts, the reporting feature alone is invaluable. Being able to report usage statistics can help guide us as we develop collections and justify spending to our Administrations. With Common Core coming down the pipeline (2014 here in California) there will be a high demand for non-fiction titles. But we have to be realistic, with the paradigm shifting to patrons seeking non-fiction in digital format (i.e. a Google search for a quick fact rather than using a print encyclopedia), it’s not in our patrons’ best interest to continue to heavily develop print non-fiction—as much as we may want to. I recommend that school LMTs collect only high interest non-fiction and abstain from adding anything that overlaps content available in our digital databases or eBooks. On the contrary, I have seen study after study (and believe it or not, even had some real life experiences) which say that patrons still like to read fiction in print. So let’s give them what they want. As needs and demands change, so too will we. If we can go from etching in stone, to carving on clay tablets, to papyrus scrolls, to the printed word, we can certainly shift to digital content. We are librarians after all, and we have been doing this for a long time. So now that we have established that we all have a little case of information overload, what do we do? I supervise--I really don't like that word and will often exchange it with support so... I support 30 librarians at 27 different sites and I find that one of the most common frustrations across the board is that there just aren't enough hours in the day to circulate, develop the collection, provide reference help, conduct story-times and book talks, and shelve, let alone learn about or promotion via technology, social media, and Web 2.0 and 3.0 tools. When it comes to integrating virtual patron outreach into our day-to-day, less is more. For the most part, everyone is overwhelmed. Take yourself for example. Have you ever referred to a new social media outlet as "just one more thing to check"? Are you reading this blog on a whim because you had a few minutes and it had a catchy title? (I apologize to regular readers of my or any blogs and I salute you for your patronage!) Your patrons--for the most part--feel the same way. So pick one or two to start, and go from there. Most people today use one or all of the big three: Facebook, Twitter, and Pinterest. There are dozens more, but if you are going to pick one to start, start with one of these. Each is different in what they allow you to provide your patrons. Let's start with Pinterest. 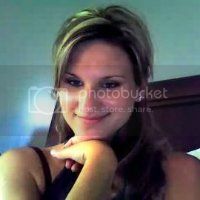 This social media tool is a virtual pin board where you can "pin" pictures from the web upload them from your computer. You can also drop in a little explanation (500 characters or less) with each picture. 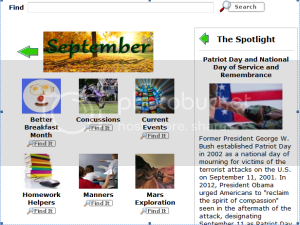 It's great for pinning book covers, infographics, and pictures of events held in the library. Next is Twitter. This is an extremely easy to use social media tool. Have you ever said something witty and only the walls are listening? Now you can tweet your witticisms out--along with any other 140 character headlines, newsflashes, and quick tips. All you have to do is get patrons to follow you. Think signage. And contests where they have to "follow" you to win. Lastly is Facebook. This can be your virtual gathering place, news feed and photo album--all for free. Facebook encompasses Twitter's and Pinterest's features along with many of its own. No matter which you choose, just be sure to keep up with it. Many "fans" and "followers" lose interest if you are not updating frequently and providing current material—sort of sounds like your print collection right? We’ll be talking more in depth on these tools in the coming weeks and I would love your feedback on how your library is (or isn’t) using these tools. Now that you have had a basic crash course on promoting your services to your patrons, next time we can talk about helping them help themselves through the shell shock of the information explosion. The easiest way is giving more via few but functional outlets and media. What are your patrons asking for help with the most? I'd love to know. Please leave a comment below. As the realization sets in that the term information overload is a less a temporary affliction and more a social norm, you may find yourself asking, “Now what?” Fortunately, there several actions you can take to save precious minutes (and shreds of sanity) as you shake off the urge to change your name to Sisyphus. Below are 10 things that have helped me to better utilize more effectively what little spare time I do have in the library. Libraries across the country are using social media to promote their services—as small as a rural K-5 school all the way up to NPL and LOC. As we all make the digital shift, virtual promotion can be one of the easiest and fastest ways to reach your patrons. Most of them are already using one or more of the “Big Three”: Facebook, Twitter, and Pinterest. Running “Like Us” and “Follow Us” campaigns with prizes or incentives will help you gain a following. Once you establish yourself to your patrons, reaching them is as simple as sending a text. Destiny is more than just an online catalog. This powerful tool can help to promote information literacy and good search skills at every grade level. By incorporating academic databases via One Search, websites via WebPath Express, and digital resources with your current print holdings, your students and staff will have a trusted jumping off point when they begin their search for information. Destiny can also save you time with features such as emailing overdue notices directly to students, staff, and parents and running saved reports on a set schedule automatically. Gone are the days of hauling books to the circulation desk for inventory and circulation. Have a rowdy class of kindergarteners? Have them sit in line while you come to them with your wireless scanner rather than them rushing the circ desk. Need to inventory textbooks in a different room? Simply walk there with your scanner. Also, you can download the Follett Destiny app from the Apple and Android stores which allows you to search for materials and patrons directly from your Smart Phone or tablet. Ever find a book out on the playground? Now you can snap a picture of the barcode with your phone to see who last had the book. Trust me; it will change your life. I am a huge proponent of student and parent labor. Each year I used to ask teachers to call for responsible students to help in the library at lunch. And if you don’t have takers right away, they can always be bribed with getting an extra checkout or bookmark. With a little work up front to train your helpers, you will alleviate some of the menial tasks and save tons of time in the long run. Collection development can be extremely time-consuming and many find themselves drawing a blank on what to buy for the kiddos with their limited budgets. Once or twice per year try sending out a short survey for teachers. If you’re into tech, Google Drive—formerly Google Docs—has great forms that will organize your results neatly into a spreadsheet. Ask the teachers what they are teaching this year and if they have any new curricula. What would they like to see in the stacks? They will appreciate being included in the process and will take some of the guesswork off your plate. Sometimes it is hard to believe, but no librarian is an island. Most of us are willing to share ideas, thoughts, and experiences in the name of literacy and library promotion. Establishing a network of colleagues will save you oodles time in the long run. Conferences, webinars, social media (and ahem, library blogs!) are great ways to meet like-minded folks with whom you can talk shop. Your students will not always be your students. They will grow up and move on and they should know what other types of libraries await them out there in the world beyond your stacks. Local public and academic libraries are usually willing to come speak to your school about what their library has to offer or collaborate on events such as a library card drive. If you follow tips #6 and #7, you should rarely have to reinvent the wheel. Need a good read-aloud for Valentine’s Day? How about a lesson on cyber bullying? Before you hit the word processor and put on your thinking cap, ask your library network for ideas. Better to adjust than to invent from scratch. This is not something that happens overnight, but as you begin to develop your eBook collection and digital resource offerings, you may find yourself with extra minutes during circulation periods. Keep an eye on your reports to see if and how circulation is shifting toward digital media by comparing it to past months or years. Though How-to’s are time consuming up front, they will save you twice over what you put in. A handbook with screenshots is my little black dress of Professional Development and training. And if the technology or process changes, you can simply edit the handbook rather than trying to verbally retrain students and staff. Keep them handy in both print and digital format and if you can, link them to your Destiny homepage (see tip #2). And I suppose if you remember nothing else, remember that just by enduring the chaos, the slashed budgets, the waves of pink slips and downsizings, by remaining true to your passion for your students and their literacy, you are giving both a chance thrive and grow in this ever-changing world. Here’s to you. I'd love to hear about any tips you have for making your life in the library easier. Please share them with me in the comments below. She lives with her husband and their French Bulldog in Irvine, California. Ruth will also be pinning resources for her Learning Library column on our Pinterest account-http://www.pinterest.com/follettsoftware. You can comment on this blog or follow her on Twitter @MssLIS. New Series: The Learning Library: "Help, I'm on Information Overload!" Erica, if you ever read this, I thank you. You are a woman of my own heart. I'm not sure about all-knowing, but we all have a similar purpose: to bring together information and those who seek it. And though our resource medium may be changing, our goals never will. Today the 21st century library is becoming a space without walls. Information is available every minute of every day to everyone with access to the web, in any location with "bars". This is both a blessing and a curse for us and for our users. Remember the ancient days… of 1999? Back when you got web hours in the form of an AOL disk; back in the time before the Digital Millennium Copyright Act and UCITA, before terms such as information overload and information explosion. Those were the days that most people had to wait for the library to open to find out the magnitude of the largest earthquake on record (Chile, 1960, 9.5) or who won the gold medal for archery in 1972 (John Williams of the USA). I can hardly remember the time when my paper calendar reminded me it was Dr. Martin Luther King’s birthday rather than the day’s Google doodle. But today, in a world where it takes just seconds to get to information, librarians are better suited than anyone to guide information seekers through the millions of hits returned from a random Google search. And further, it is our duty as school librarians to instill good information seeking behaviors in our students at a young age. We can do so by taking advantage of some of the tools, tips, and tricks that are already out there. I am a huge advocate of not having to reinvent the wheel. There just aren’t enough hours in the day! So with that I welcome this blog series, The Learning Library. I hope to touch on some of the tools, tips, and tricks that I have learned so you can get back to what’s most important. So go, bring order to chaos, and I’ll see you in a couple weeks! Please join us in welcoming Ruth in the comments below.